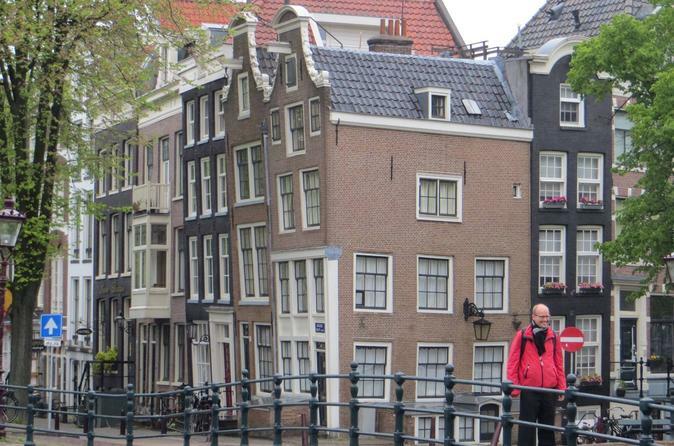 ... narrowest house and its widest bridge. 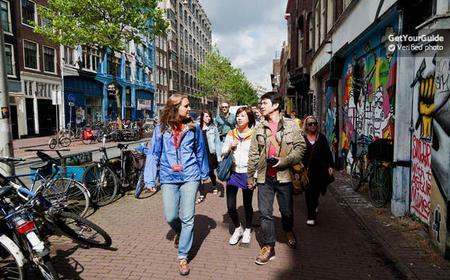 Then, pass the Anne Frank House, the stroll by Begijnhof Convent, and much more. 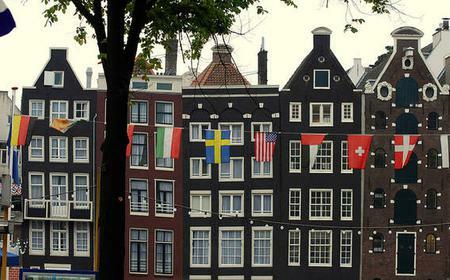 ... House, the Dutch East Indies HQ, Dam Square, and more. 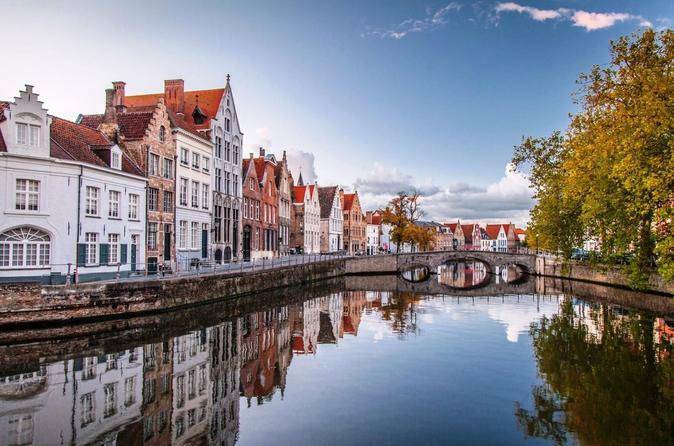 Explore the UNESCO World Heritage Canal Belt, and the Begijnhof. 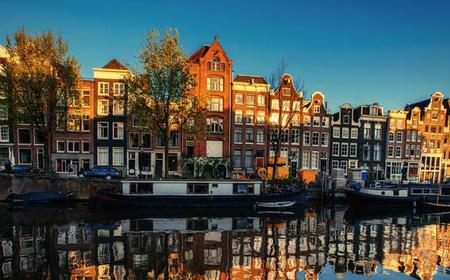 ...eboats and bridges of the Canal Belt, and see landmark sites, such as the Royal Palace, Begijnhof, and Anne Frank House. ...l paths of a city once considered the center of the world. 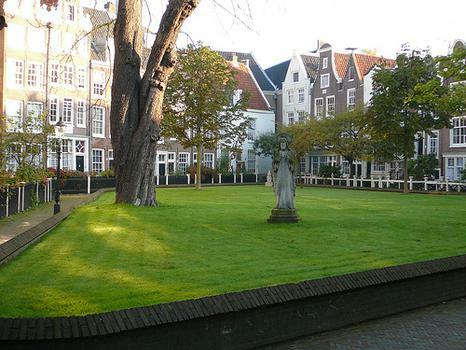 Marvel at monuments such as the Begijnhof courtyard and more. The Begijnhof is one of the oldest inner courts in Amsterdam that formerly housed Catholic Beguines and is now a home for needy women. The Begijnhof is one of the oldest inner courts in Amsterdam that formerly housed Catholic Beguines and is now a home for needy women. 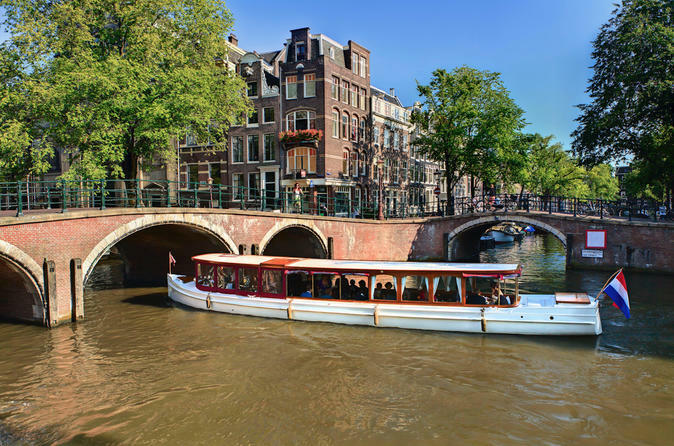 Dating back to the early 14th century, it is an oasis of tranquility with quaint historic buildings in the heart of Amsterdam enclosed by the Singel canal. Het Houten Huis, the house at no. 34, is the oldest wooden-front house in Amsterdam and one of only 2 of its kind in the city, as wooden houses were banned in the 16th century after a series of fires. In the centre of the courtyard stands the Engelse Kerk or English Reformed Church, with pulpit panels designed by Mondrian. Beguines were pious catholic single women who performed good work but did not want to live in a convent, and therefore did not take their vows. Earliest records referencing a ‘beguine house’ date to 1346, and mentions of the Begijnhof for the first time date to 1389. Until about 1400, the Begijnhof covered the part now fenced off by the church, bordered at the south by what is now the de Begijnensteeg (Beguines alley). However in the early years of the 15th century, the courtyard was expanded by filling the adjoining marsh with rubbish, dirt and sand to form solid ground extending up to the canal ‘Spui’ (now filled up). The wooden houses of the Begijnhof were totally gutted in the great fires of 1421 and 1452, which destroyed large parts of Amsterdam. Only the Houten Huis survived, which was restored in 1956-57. The present day courtyard dates mostly from the 17th and 18th centuries. 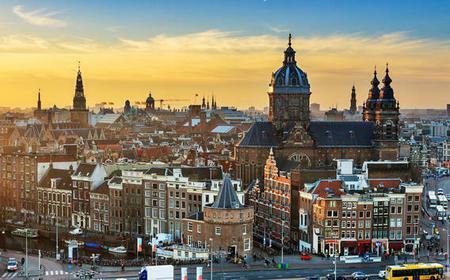 From 1578 to 1795, Amsterdam was Protestant, with Roman Catholics banned from openly practising their religion. 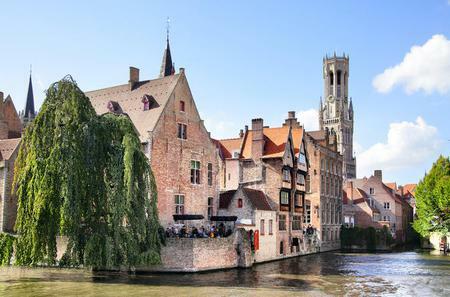 Most possessions of the Roman Catholic Church were confiscated, but the beguines were left in peace. 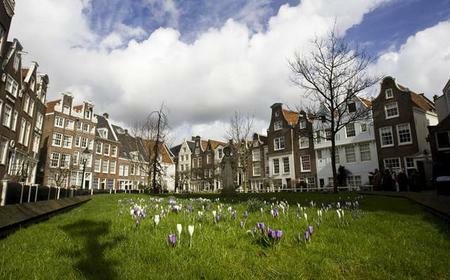 The houses were considered their personal property and thus the courtyard was a Roman Catholic enclave in a predominantly protestant Amsterdam for more than 200 years. In 1607 the Gothic courtyard church (consecrated in 1419) was given by the city council to the English Protestant community, following which the beguines had to make do with various hidden house churches. Cornelia Arents, mistress of the Begijnhof, who passed away on 2 May 1654, did not want to be buried in the Engelse Kerk or English Church. Out of penitence for some of her relatives turning Protestant, she requested a grave in the pathway to the church. Every year on her death anniversary, flowers are placed here. In 1671 an ‘official’ house church was opened in two connected houses (no 31) and was simply called ‘the chapel’. The chapel at the Beguinage has 9 panels by Schenk illustrating the ‘Miracle of Amsterdam’. As per legend, a rich man in Kalverstraat was sick, and vomited the Sacrament that was given to him. The holy Host had to be disposed by burning, but it supernaturally levitated above the flames and was recovered for preservation in the Nieuwezijds Kapel. The Host was lost to water when Amsterdam turned Protestant and Catholic churches were thrown into neglect, but the Nieuwezijds Kapel and the Heiligeweg leading to it from Kalverstraat are important religious sites today. A major restoration of the Beguinage was carried out in the 1980s as the houses were in bad shape. When it was completed in 1987, princess Juliana handed over the courtyard to the Begijnhof Foundation which rents out the homes to 93 Dutch women.